As we Celebrate our 25th year in business, Beav's Window Cleaning would like to thank all our loyal customers for their continued support. We look forward to the next 25 years! Larry Prescott is the owner and operator of Beav's Window Cleaning. As a Palm Beach County native, Larry is at home in South Florida and understands the special effects our gorgeous sunny and humid weather can have on homes and offices. Our roofs, windows, driveways and gutters must be taken care of by someone who is experienced in our climate and knowledgeable about the latest in products and cleaning. Larry started his career as a carpenter, building custom homes in Palm Beach County but began high-rise and residential window cleaning in 1988, when construction activity slowed. Cleaning windows from Miami to Fort Myers, Jacksonville, Gainesville, Savannah, Ga., and Charlotte, N.C., he was at the top of some of the tallest skyscrapers in Florida. In 1992, he founded Beav's Window Cleaning and now specializes in residential and estate homes- Barns & stables and one- and two-story commercial buildings. Larry brings all of his 29 years of experience to your home. His commitment to his clients and to honest, quality work brings the best to you every time. The business cornerstones of Beav's Window Cleaning are quality and integrity, delivering more than what was promised. When I Changed career's 29 years ago had no idea where this new path would lead me. It seems like yesterday, how time fly's. Went from building home's to cleaning them . Would like to thank all our loyal customers again for their continued support in getting us where we are today. As for the business name people often ask where it came from. Mom liked watching the leave it to the beaver show back in the day and decided to nickname me Beaver. as i got older tried to get away from it but when i started the business and couldn't think of a name then realized 90% of the people i knew didn't know my real name they all called me The Beav, Beav or Beaver so i decided to use it. and here we are today. 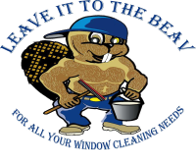 If you are in the Lake Worth, Lantana, Wellington, Royal Palm Beach and Loxahatchee Areas Beav's Window Cleaning is now offering a complete Exterior Maintenance Service Window Cleaning - Pressure Cleaning - Lawn Maintenance -Tree Removal Lawn Service, Maintenance , Cleanup and Trash Removal.